sleeve barrel: 1) We can make different kinds of sleeve barrel according to your drawings. 2) We can produce other types of barrel to satisfy your different needs. 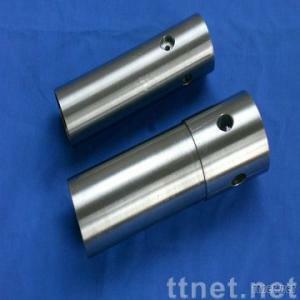 3) We can process machine parts either with CNC machines or with normal lathes. Attention: 1) Most of our products don't have a name, and we don't disclose the pictures to the public. 2) We always keep our customers' information confidential. 3) We ensure that each of our product is of high quality. And we never make any promise that we can't keep. 4) When I receive your inquiry, I will reply you within 48 hours at most. Our company is mainly supply OEM precision machining service in China. Our focus is CNC machining and we offer a full range of manufacturing services. Our products are mainly sold to West Europe and North America.